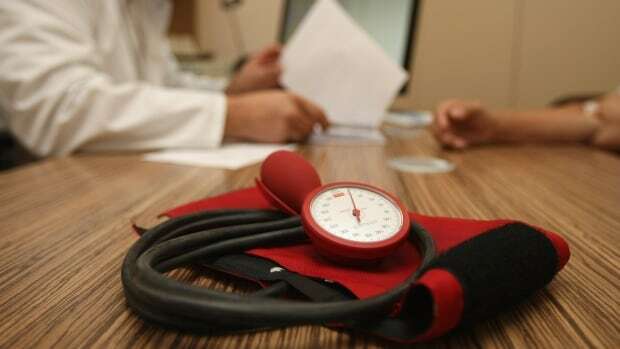 Certain medications containing valsartan, a drug to treat high blood pressure, could contain a second substance that can cause cancer, Health Canada says. All drugs containing valsartan, manufactured by Zhejiang Huahai Pharmaceuticals in China, were recalled in Canada after a first impurity, N-nitrosodimethylamine (NDMA), was identified earlier this summer. NDMA is classified as a probable human carcinogen, which means long-term exposure could increase the risk of cancer, according to regulators. Drugs containing valsartan treat high blood pressure and help prevent heart attacks and stroke. They are also used by patients who have had heart failure or a recent heart attack. On Thursday, Health Canada said a second impurity, called N-nitrosodiethylamine (NDEA), has also been found in valsartan manufactured by the Chinese company. "The new information regarding NDEA is very limited at this time. Health Canada is assessing the issue and will update Canadians as more information becomes available," the regulator said. Contact their health-care provider as soon as possible to discuss treatment options if they have been using an affected product. Pharmacists may be able to provide a product not affected by the recall, or doctors may prescribe a different medication. Continue taking their valsartan medication unless they have been advised to stop by their health-care provider. Since the risk of cancer is with long-term exposure to the NDMA and NDEA impurities, there is no immediate health risk, and patients can continue to take this drug to treat their medical condition until they can discuss treatment options with their health-care provider. Contact your health-care provider if you have taken recalled valsartan products and have health concerns. Earlier this week, Health Canada released its health risk assessment for valsartan products containing NDMA. Given the longest time affected products were sold in Canada was three years, Health Canada said it estimated that among those taking the largest dose of valsartan (230 mg/day), the potential increased risk of cancer over a lifetime could be one additional case of cancer for every 11,600 people taking the product. To put the estimate into context, nearly one in two Canadians is expected to develop cancer during a lifetime. For the lowest valsartan dose (40 mg), Health Canada estimated the potential increased risk of cancer over a lifetime could be one additional case for every 93,400 people taking the product. Both European medical agencies and the U.S. Food and Drug Administration also withdrew affected valsartan products from the market because of suspected NDMA contamination. In this week's issue of BMJ, Danish researchers concluded the recalled blood pressure medications are not linked to increased short-term cancer risk, based on data from Danish health registries. Those never exposed to NDMA. Those probably or possibly prescribed valsartan products contaminated with NDMA. People were tracked for an average of 4.6 years. "Our results do not imply a marked increased short-term overall cancer risk in users of valsartan contaminated with NDMA. However, uncertainty persists regarding single cancer outcomes, and studies with longer followup are needed to assess long-term cancer risk," Kasper Bruun Kristensen of the University of Southern Denmark in Odense and his co-authors concluded. A journal editorial published with the study said regulators took rapid action, but exposed patients still need long-term monitoring. "This study may give some reassurance to people already exposed to this additive, but this should not prevent patients from routine cancer screening and future avoidance of this additive," Bhusri told HealthDay News. Cardiologists and pharmacists have said different alternatives exist for the recalled products. As of Aug. 18, Health Canada said, the list of recalled products included medications from Teva Canada, Sandoz, Sanis, Pro Doc Ltée and Sivem Pharmaceuticals. The regulator has also updated its list of products that have not been recalled.